Renowned playwright Debbie Patterson will perform and speak in Brandon. A remounting of her acclaimed play Sargent & Victor & Me and a lecture for the Brandon University (BU) Faculty of Arts Speaker Series are on the bill for Winnipeg playwright Debbie Patterson next week. 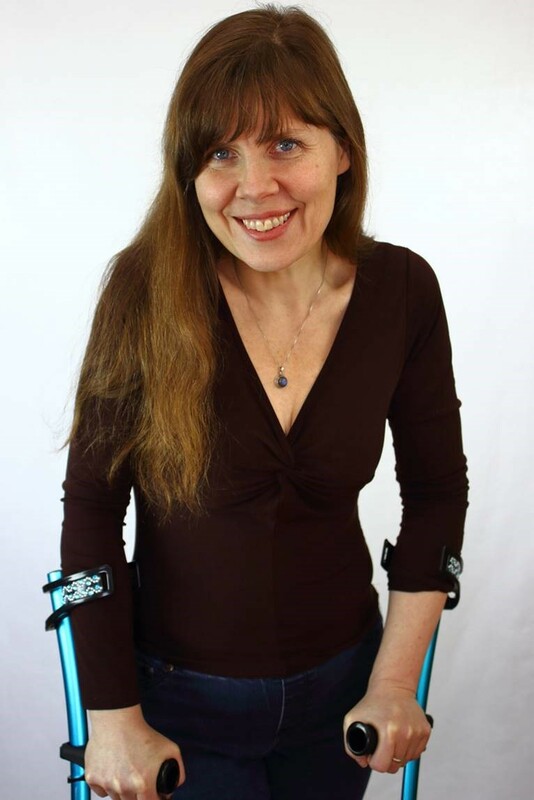 Patterson will be the first lecturer of the season for the Speaker Series with her presentation of “Writing From the Body: Disability Art and the Physical Nature of Theatre” on Tuesday, Sept. 27. The free presentation will take place from 12:40 to 1:30 p.m., in Room 104 of Clark Hall at BU. On Wednesday, Sept. 28 at 7:30 p.m., and Thursday, Sept. 29 at noon, she will perform Sargent & Victor & Me at the Park Community Centre in Brandon. Both showings are open to the public. The admission fee for Wednesday’s performance is $15 for the public and free for students. Thursday’s performance is free for everyone. Sargent & Victor & Me intersects the lives of core-area residents with a disabled food bank volunteer to unlock the mystery of how neighbourhoods evolve and transform over time. Theatre Projects Manitoba and Sick + Twisted Productions in Winnipeg have joined forces to remount a new production of this timely one-woman play. The play is co-sponsored by the Hawkweed Literary Forum at Brandon University. Patterson’s bold work is adapted from first person accounts that she recorded in her interviews with residents from the Sargent and Victor area of Winnipeg, an area with a rich history of immigration and cultural exchange. Patterson’s personal experience with MS is implicated in the story of the play’s lead character. The play is directed by Arne MacPherson, noted Winnipeg director of such productions as Head, Such Creatures, The Walworth Farce, and Stretching Hide. Multi-disciplinary artists John K. Samson and Christine Fellows are key collaborators on Sargent & Victor & Me, with devised instrumentation and ambient sound design that include audio from the food bank at the First Lutheran Church and from the interviews that Patterson conducted. Go to theatreprojectsmanitoba.ca/opening-thursday-thats-tomorrow/ for a preview video on the play. For more information on the Brandon performances of Sargent & Victor & Me, contact Dale Lakevold in BU’s English & Creative Writing Department at 204-727-7413 or lakevold@brandonu.ca. Contact Rea Kavanagh at Theatre Projects Manitoba at 204-989-2400 or gm@theatreprojectsmanitoba.ca. This fall’s Faculty of Arts Speaker Series schedule includes Dr. Jim Naylor, History, on Oct. 14 at 1:30 p.m., Dr. Christina Behme, Philosophy, on Nov. 4 at 1:30 p.m., and Dr. Pat Bondy, Philosophy, on Nov. 18 at 1:30 p.m. Each presentation will be in Room 104 of Clark Hall. Debbie Patterson is a Winnipeg playwright, director and actor. Trained at the National Theatre School of Canada, she is a founding member and current artistic associate of Shakespeare in the Ruins, served as Theatre Ambassador for Winnipeg’s Cultural Capital year and as Artistic Associate at Prairie Theatre Exchange. She was the University of Winnipeg Carol Shields Writer in Residence 2012 and Playwright in Residence at Theatre Projects Manitoba in 2014/15 and is currently a member of the PTE Playwrights Unit. Her playwriting credits include Sargent & Victor & Me, the musical Head, Candy From a Baby, and Molotov Circus. In 2014 she was honoured with the United Nations Platform for Action Committee’s annual Activist Award. She lives in Winnipeg with her family: Arne, Gislina and Solmund.